Winamp is a media player for Windows XP/Vista/7.. and now it’s also available for Google Android. Winamp is one of the most popular and powerful media player among windows users. Winamp is specifically known for it’s playlist, skins, and a bundle of advanced features that allow you to customize it effectively. Winamp is a freeware application i.e basic version is available free but you need to pay for it’s pro-version. Are you looking for Winamp on Ubuntu? In fact, Winamp is available only for Windows (and Android). That’s not exactly true because Winamp vs 3 (The latest stable version is Winamp 5.621, released few days ago) Alpha version was also released for Linux based OS (probably the RPM packages, for Linux distributions like Fedora) but it’s not available anymore for Ubuntu or any other Linux distros. 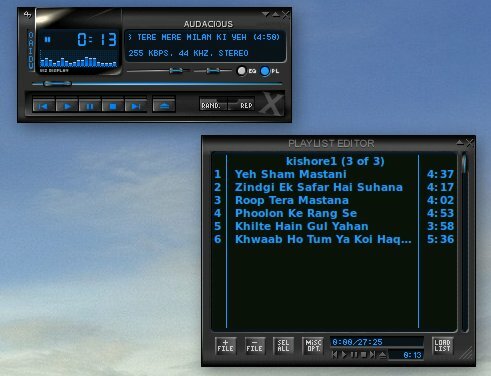 So in this post you may notice some free and open source media players equivalent to Winamp not only in features but also in look and feel (by using Winamp skins). it supports a lot of input formats such as MP3, Vorbis, AAC, WMA, Flac, Wavpack, ALAC (Apple Lossless) etc. Note : It’s a very old article. Ubuntu 11.04 (alias : Natty Narwhal) was released(stable/final version) around a week ago and now it’s the time to install some great and cool applications that you need in your daily life. 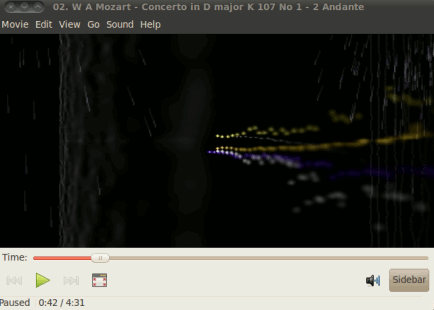 In this post, I’ll write about few best ‘free and open source’ music player (both Audio and Video) that you may want to try on Ubuntu 11.04 for great music experience. 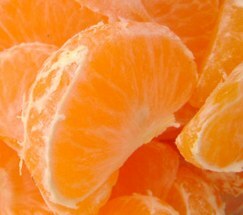 In fact every music lovers, those who uses Ubuntu 11.04 (or older versions like 10.10 or 10.04; or may be other Linux Distributions, then also this article will help you because the apps I’m going to write about, is platform independent and surely available for most common Linux distros like Linux Mint, Fedora, Debian, OpenSuse..and of course Ubuntu! ), uses these applications to play music on Ubuntu (or other platform if it’s a cross-platform apps). There are lot of Music Players available free under open source License (like GPL) e.g VLC, Clementine, Amarok, Rythmbox, Juk, Quark, Muine, Exaile, Audacious, Banshee Media Player, Totem …you name it. So it’s not so simple to select a music player Apps from the Ubuntu Software Center. Ubuntu 11.04 has banshee media player, installed by default, while 10.10 (Maverick Meerkat) or 10.04 (Lucid Lynx) uses Rythmbox as default music player. 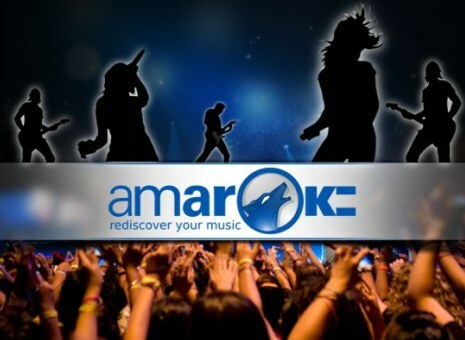 Clementine is based on Amarok media player, and commonly used to play mp3,ogg songs. it has a lot of sophisticated features like smart/dynamic playlists, internet streaming, ..all the features you expect from a modern music player, with simple and easy to use interface. it’s a cross-platform,free and open source music player. Now, it as been added to Software Center/Synaptic package Manager. #1 : Open Ubuntu Software Center and search for ‘clementine’ and click on install button (Then you may have to authenticate yourself, by entering your login password).. and wait for the installation to complete. #2 : Sorry to disappoint you ..no more steps is required, Enjoy! Audacious is one of the most popular mp3 player among the Ubuntu users. It consumes very less resource and the audio quality is pretty good. The look is very similar to Winamp player (Most popular music player on Windows XP/Vista/7..). It has a lot of good features, with simple and easy to use graphical interface.